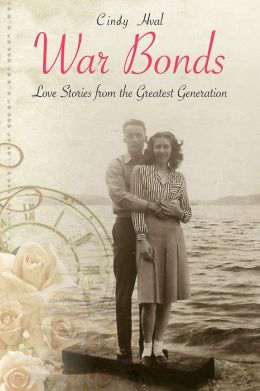 Cindy Hval is the author of War Bonds: Love Stories from the Greatest Generation, and columnist and correspondent for The Spokesman Review newspaper in Spokane, Washington. Her “Front Porch” column offers humorous, often poignant commentary about life, love and raising sons– not necessarily in that order. In addition, her stories have been published in numerous magazines and anthologies including ten volumes of the Chicken Soup For the Soul series. Cindy is the mother of four sons ages 28 to 18 and is owned by two cats, also boys. She and her husband, Derek, recently celebrated their 32th anniversary. Her idea of heaven is a room full of books and all the time in the world to read them.